Zelda Knapp is a playwright, blogger, poet, and short story author (there’s no short title for that one, though). 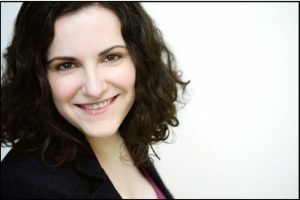 She graduated from NYU’s Tisch School of the Arts with a BFA in Drama and a minor in Creative Writing. Her plays include Butterflies,This is Hell, Something On Your Mind, and her solo show, Evidence, which played at Theatre Row in NYC, and which will be adapted into a web series. She has had short stories published by Standard Culture and The Biscuit. Her full-length work can be found on Amazon Kindle. She helps run a popular blog on Buffy the Vampire Slayer (yes, it’s still relevant), Once More With Extreme Prejudice, as well as maintaining a blog of theater reviews and personal essays, A work unfinishing. First and foremost, good writing. There’s nothing quite so inspiring as witnessing brilliant writing, and feeling the desire to create something that inspires the same emotion in others. Bad writing can engender good ideas too – my brain starts puzzling out how to fix what I’m seeing, and a new idea can spawn. The more I encounter the world, both real and fictional, the more I find stories to tell. I write in fits and starts. I usually start with an image, a moment, a snapshot of emotion or physical state. Sometimes I’ll fall into a character’s voice and let them tell me where we’re going. I’m always more interested in examining character, and ideally, narrative flows from that. I rarely outline, and find that the story will reveal itself to me in subconscious breadcrumbs I dropped along the way. One- or two-word prompts have also spawned stories, so I’m a big fan of prompt books. I don’t generally talk at my characters, but I listen carefully to what they’re saying, and not saying – the clues for where the story goes next lie in what’s already written down, in what’s still missing. The same advice my dad gave me – if you want to write, make a habit of it. Practice writing every day. Every single day. Even if it’s just composing emails, take the time to really craft them. And read. Never stop reading. The sudden realization that I could. I had this collection flash fiction, poetry, and other assorted pieces, and knew it would be a hard sell to a publisher. But then I got to thinking about self-publishing through Amazon, how easy it was, how affordable it was – and how much of the stigma that used to attach itself to “vanity” press was dying out. I used to smirk at the hard copy self-published books I’d see in St. Mark’s Place, but there’s a lot less of that judgment with digital publishing – it’s doing for writers what YouTube did for filmmakers and musicians. With digital self-publishing, you take out that middle man, and get to tell the stories you want to tell, the way you want to tell them. I’m not really inside the large-scale side of the business enough (or at all) to answer that with much degree of authority, but I think digital self-publishing is absolutely going to continue to grow as a part of our publishing culture. I think there’s room for everyone at the table, and we have the internet to thank for allowing that. Will the big publishing houses die out? Absolutely not, not any more than movie studios or recording studios will die out. But I think we can co-exist.